Cruising along the romantic Seine River is an essential part of the Paris experience. It's how you get a true feeling for the historic center of the city that lies along the Spine of Paris. Our favorite river cruises are those that provide special attention. We look for Seine cruise experiences that provide transportation from our hotel, or that include dinner in a VIP area, or that mix in dinner and live entertainment. Here we present the best of these experiences. 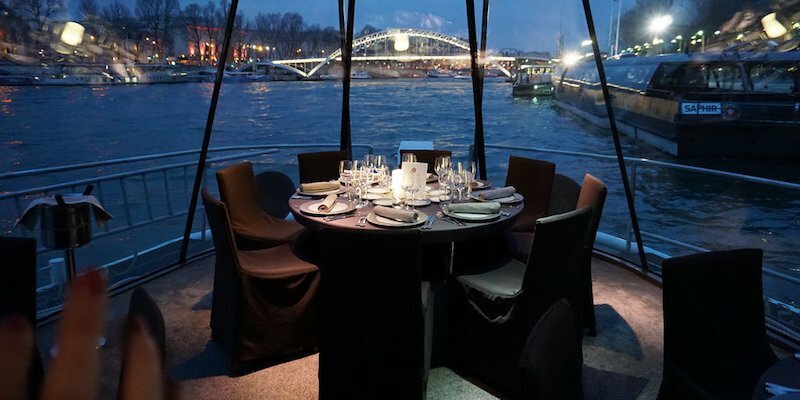 We love this dinner cruise with Bateaux Parisiens, where there's nothing to do for two-and-a-half hours but watch the lights of the city slowly drift by. And what a view it is, as you see all the iconic sights of Paris. The evening starts with getting picked up at your hotel and driven to the banks of the Seine just below the Eiffel Tower. Once aboard you are seated in the prestige location at the front of the boat for a superior menu and the bests viewing of the city. While dining on the multi-course Menu Premier (complete with champagne and wine), you enjoy live dinner music. 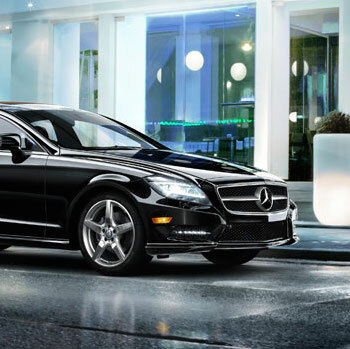 You cruise from the Eiffel Tower upstream past… well, past everything Parisian you can think. Some way past Île St Louis the boat reaches the modernistic, monolith that is the Bibliotheque Nationale and turns around to head back. 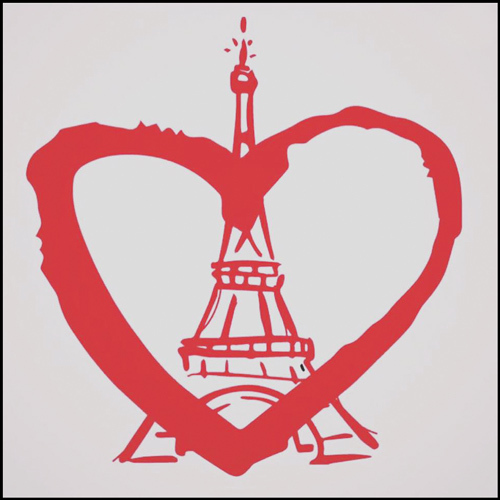 Once you pass… everything else in Paris, including the Eiffel Tower, the boat turns around the Statue of Liberty and arrives back at its ET dock just in time for the Tower's 11 PM light show, which might be a great time for a proposal. Be sure to book the VIP cruise with the Premier menu that gets you a table at the front of the boat, better service, even better air conditioning, and includes hotel pick-up and return (a must). Plus glasses of champagne, of course. 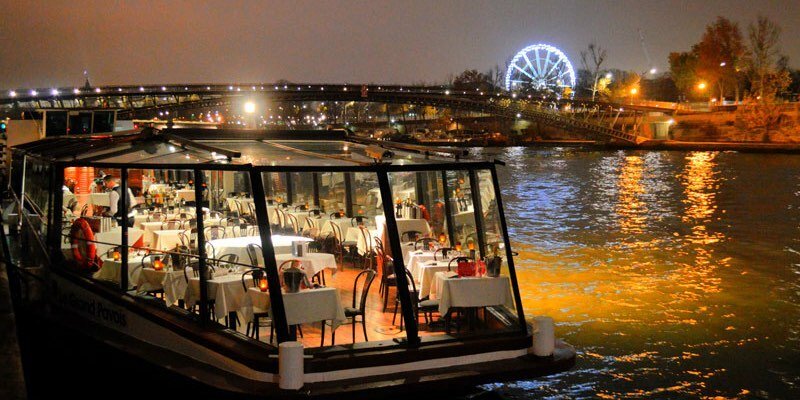 With wine, champagne, and transportation form your Paris hotel, this evening dinner cruise has everything we look for. The illumination cruise with a classic 3-course dinner takes place on one of the glass-walled and glass-topped boats of La Marina de Paris. 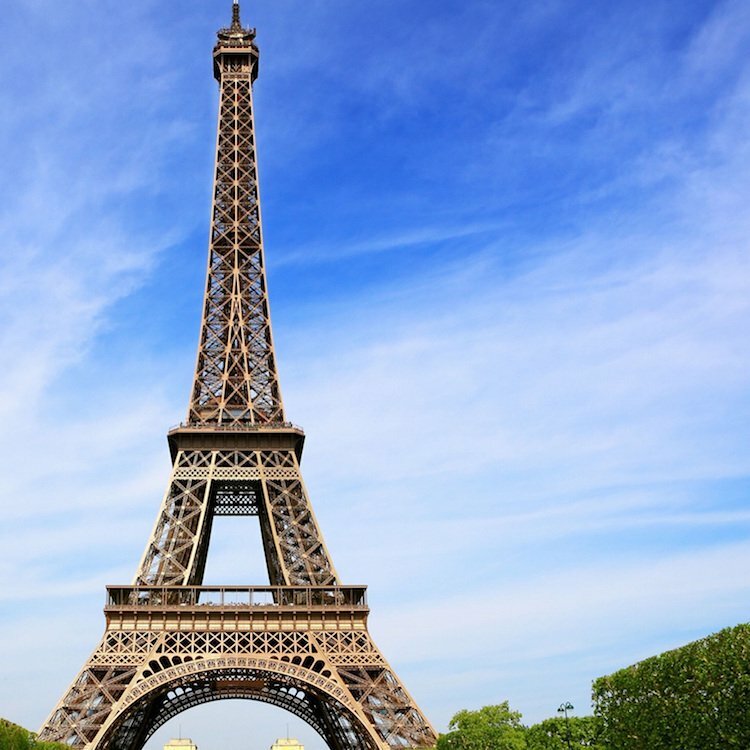 The views of are exceptional, and you see so much of historic Paris from the river — the Louvre, Notre Dame, the Grand Palais, Pont Alexandre III, the Paris Islands, the Statue of Liberty, and of course the Eiffel Tower.